It’s Mother’s Day and I could and possibly should be writing a post about my children since they are in fact the very beings that made me a mother. However, this Mother’s Day is truly bitter-sweet for me. While I am so very, very thankful for my children, I am also thinking of those people who have touched my life in some way that aren’t celebrating this day with me. First of all, Ben. This is my first Mother’s Day without him. I am reminded that last Mother’s Day was the last time I saw him. It was the last time I heard his voice. It was the last time I would ever hear him say, “Happy Mother’s Day Mom.” I had no idea that when he walked out the door that day, I would not see him again. I think of him every day. I wish he was still here every day, especially this day – Mother’s Day. I also think of Lili and Naomi’s birth mothers today. What a bitter-sweet day for them as well. How they must miss their little girls. How I wish I could let them know that they are wonderful little girls, growing fast, smart, happy and healthy. These women have given me such wonderful and beautiful gifts. Their sadness and grief has become my happiness and joy. I hope they know they are not forgotten and I wish them both a Happy Mother’s Day. Today, as I think of Ben and two women in far away countries, I have also had the opportunity to watch new life and a new mother as she cares for her babies. Yes, our Momma Robin is now officially a mom. The eggs hatched last night through this morning. 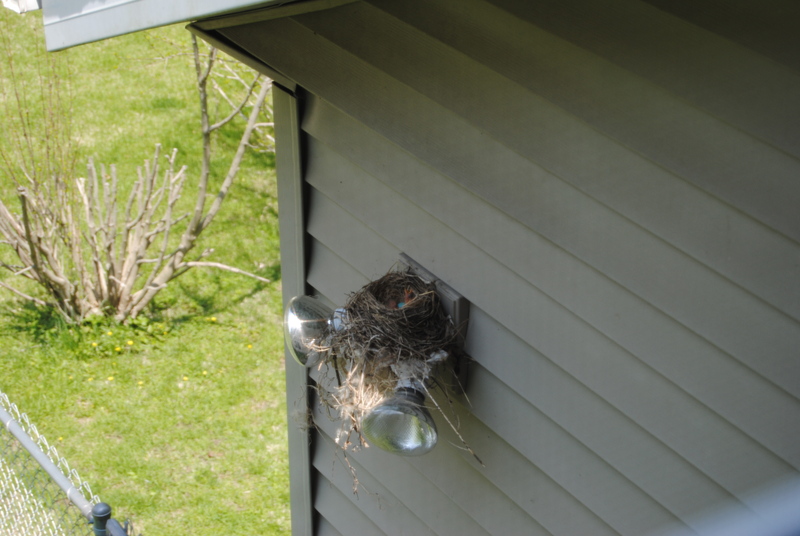 The girls and I have had an awesome time watching Momma Robin leave the nest to bring them food. We’ve watched her carefully tend to her new babies and carefully rest her warm body on theirs. We’ve watched her protect them to keep them from harm. I will continue to watch Momma Robin as she raises her babies, teaches them to fly and then let’s them go on to live their lives. Afterall, that is in fact the ‘Life of a Mother.’ We raise our babies, teach them to fly, and then let them go on to live their lives. 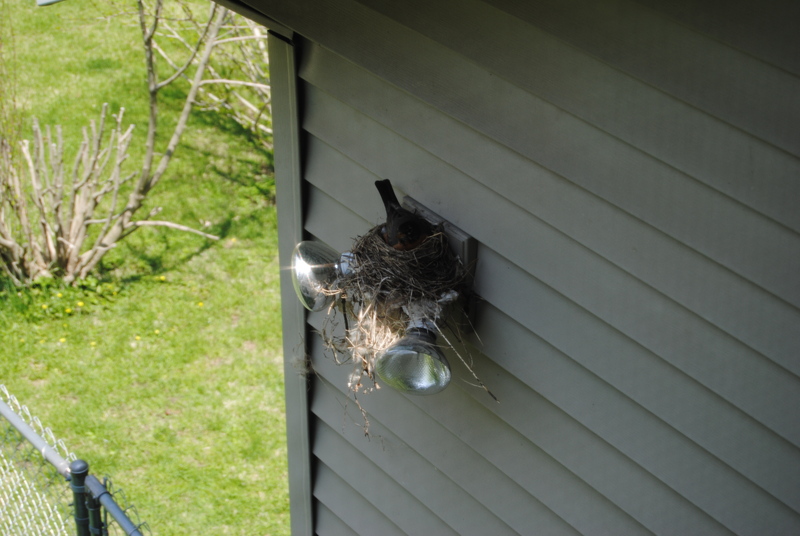 Thank you Momma Robin for allowing me to watch new life and reminding me just how precious life truly is. Momma Robin keeping her babies warm and protected. Great Big ((((((((((((((((((((((((HUGS))))))))))))))))))))))))) & SMOOCHES to you, a very special person & Mother, on this Mother’s Day!!!!! SO glad we are friends and we must get together many times, this summer!!!!!!!! quite simply, a beautiful reflection. my kinders and i witnessed the birthing of 3 butterflies yesterday. we oohed, we talked, we observed, and then we let them go, following them for a bit to make sure they would be ok. There are no ordinary moments. Happy belated Mother’s Day! I remember coming home last year having missed the sad, hard details of your May. I still don’t know what to say, but I will say I am glad to know you. You are amazing, and I will never understand how you manage to accomplish all of the things you do.